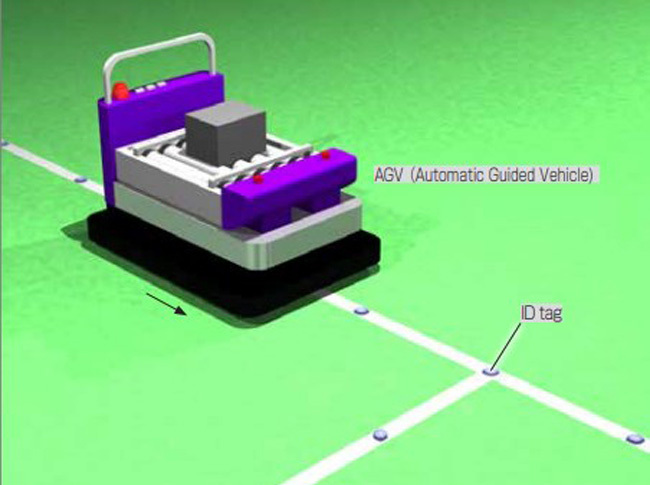 Read the written data to the ID tag and AGV traveles according to written data. It is also possible to travel on a complicated route depending on the program. Data of ID tag can easily be rewritten depending on the applications. Due to high waterproof/ dust proof structure, it can be used in places where water is applied or where there is dust.